Heat grill pan or gril over medium-high heat. Add EVOO. 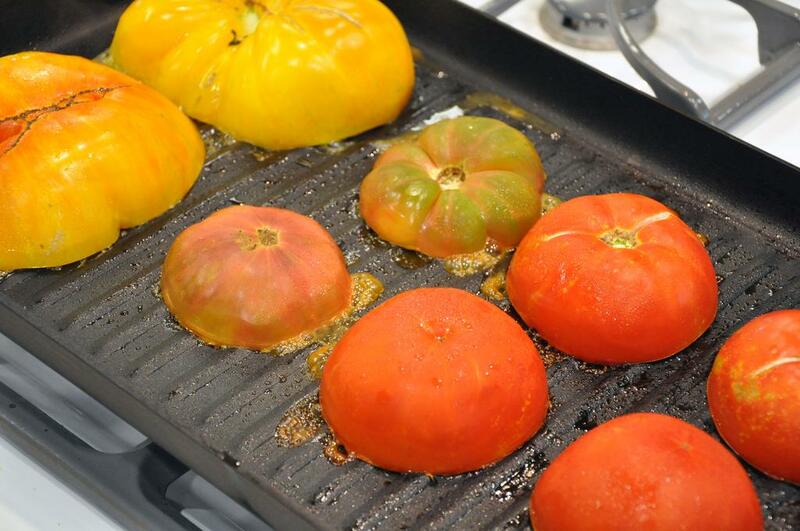 Arrange tomatoes cut-side down and cook until tender and darkened, about 10 minutes. Meanwhile mix parsley and garlic in a small bowl. 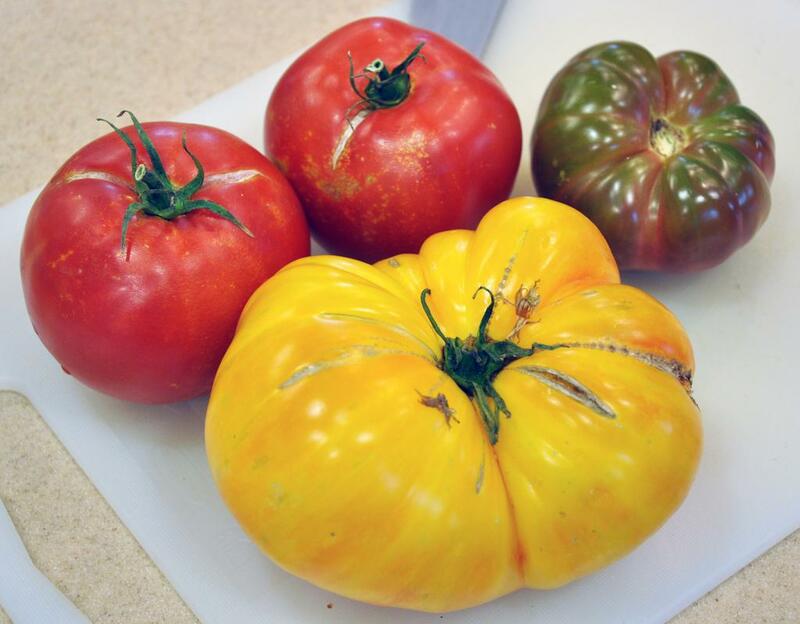 Using a wide spatula or tongs, carefully turn each tomato cut-side up. 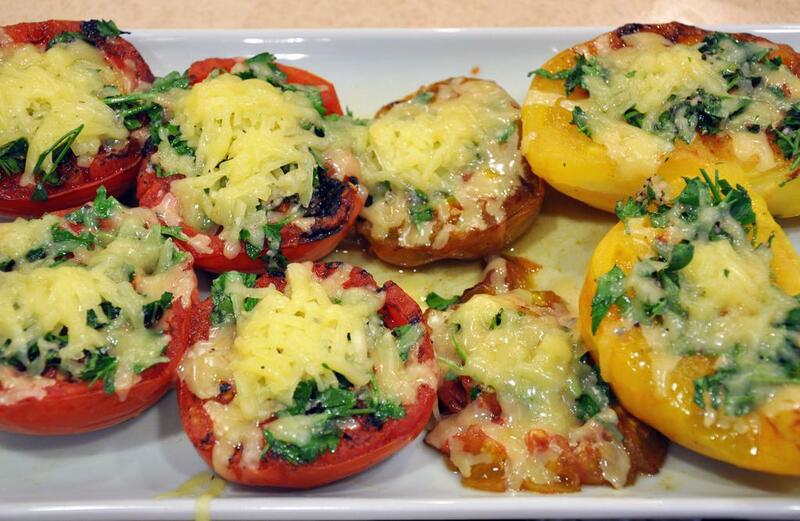 Sprinkle each tomato with sugar, SnP, followed by equal portions of the herb mixture and cheese. Cover and cook until the cheese is melted, about 2-3 minutes. Serve warm.